A large map of the Frankfurt University. 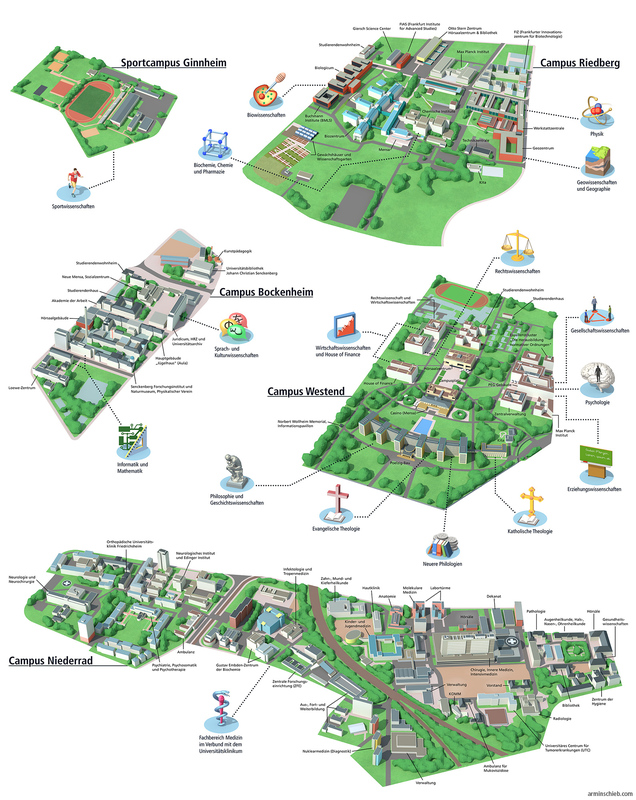 It shows the four main sites and the departments of the university. I made this for a special issue of Die Zeit. I build the models mainly on basis of Google Maps and the aerial view of Bing Maps. The buildings are quite simple, mainly blocks. But I still needed two weeks put all together.